You are at:Home»Microstock News»Keyword.io: A New Keywording Tool Powered by Insightul Statistics! 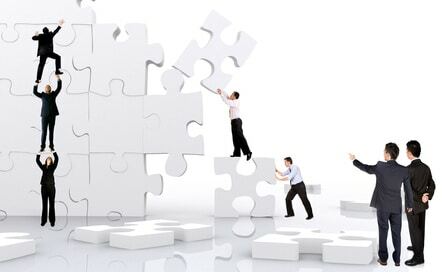 Keywording is a very crucial part of your workflow as a contributor selling stock photos via agencies. And there's a team of developers whom know it. Stock photographer Ana Flasker and programmer Robert Jung, the guys behind Dropstock.io, are now out with Keyword.io: a new, free keywording tool that hopes to make the process of selecting and adding keywords to your images easier and better. Using a base of over 30 million stock photos and sales metrics from different stock photo agencies, Keyword.io lets you search and select keywords for any concept or topic, sorting them by accuracy, popularity and sales performance. It's a straight-forward and very simple to use tool. And the best? It's free! The new free tool is available on its own website, and it's very simple to use. 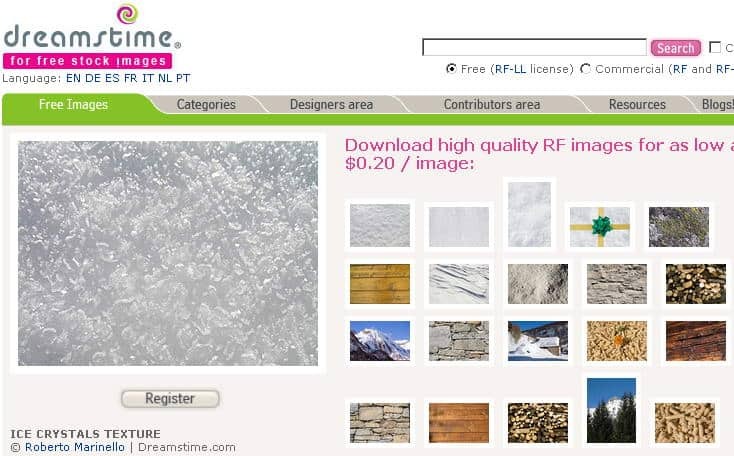 You don't need to upload your images, nor install anything on your computer, because this tool does not generate keywords based in pre-selected images. 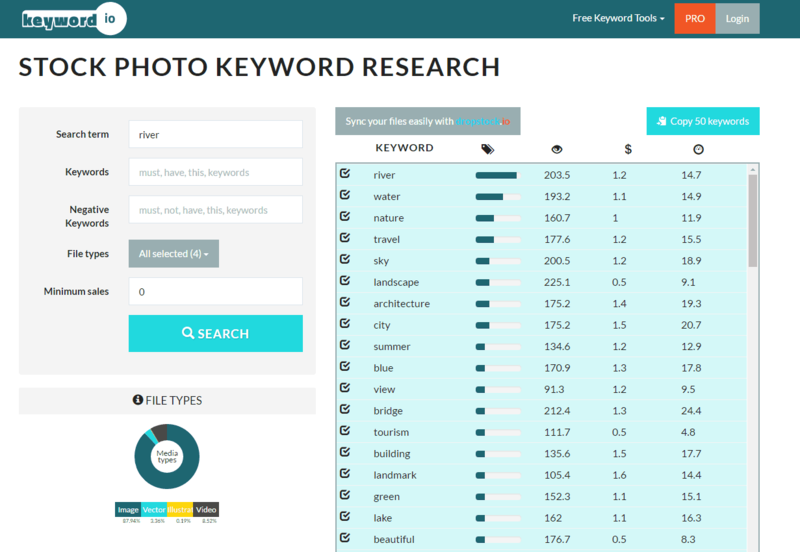 Keyword.io brings up keywords from a database built on keywords collected and analyzed from +30 million stock photos, including the views and sales statistics provided by some stock agencies. All you have to do is use the search bar you will easily spot on the homepage. 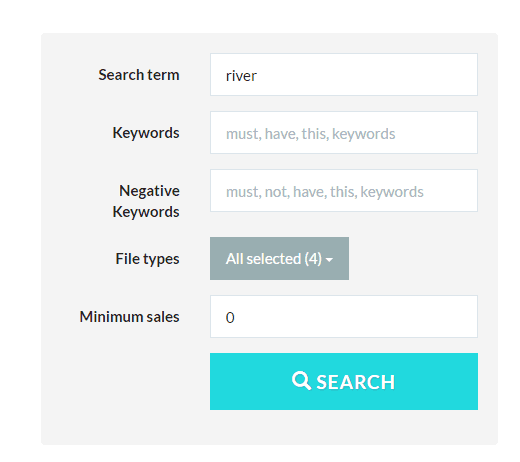 Introduce a search term (the main concept or topic of your image), and hit “Search” button. If you want to be more specific, you can use the additional fields to add “must have” or exclude certain terms, choose file type (photos, vectors, illustrations or video) and select a minimum sales value. Once you hit “Search”, the system will quickly display a long list of keywords related to your concept, arranged in a table. 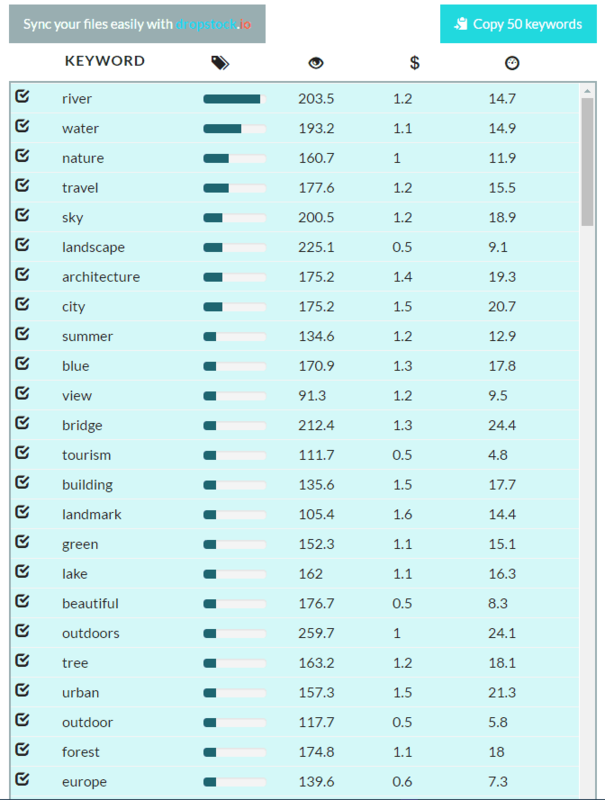 The results show you different values for each keyword, taken from the images they were included in. You can see the average frequency the keyword is used, the number of views it generates, the average sales performance of the term, and even a ranking value that crosses the number of views and the number of files within each keyword. 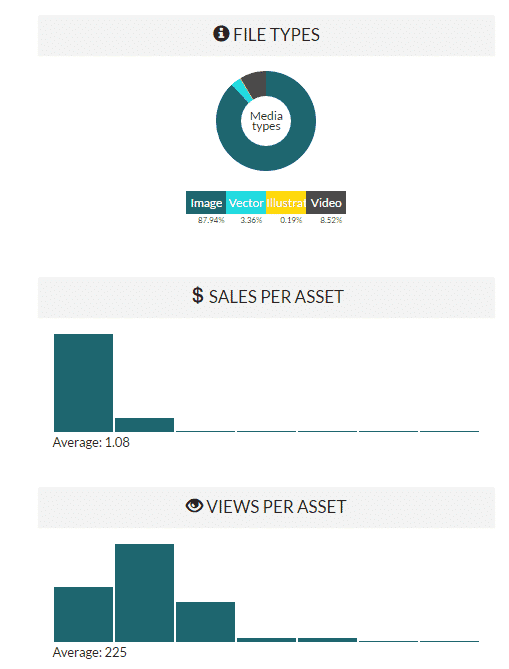 Plus, on the right side of the keyword table you will visualize quick stats about your main concept: the percentage for each media type, and the average sales and views per asset. Immediately below you will see a tag clod graphic, showing you what are the more accurate, mostly used and best selling keywords. Ans there's more: the keyword results are ordered according to certain values as well. They go from generic to more specific, and from more frequent to less often used, letting you find “niche” keywords and most popular keywords easily. You just select the keywords you want from the list, and then hit the blue “Copy” button on top of the table. You will see a preview where you can modify your selected terms, and confirm with a quick click. All the keywords you included (up to 50) are automatically added to your clipboard, ready to be introduced in the appropriate field of your image file. We told you: simple! Keyword.io is a very interesting and useful tool because it only aims at making the keywording process easier and faster, but also to provide a way to find the best keywords for your image in order to increase your sales. Thanks to the statistics they show, you can not only get lots of keywords quickly, but you can also select the ones that will potentially mean more views and more sales for your image. If you are intrigued by this new option and wish to try it, go to Keyword.io and give it a shot. It's free! And don't forget to let us know how it worked for you! I’m interested, but I need a program that will be Alamy compliant. Does yours have that capability?